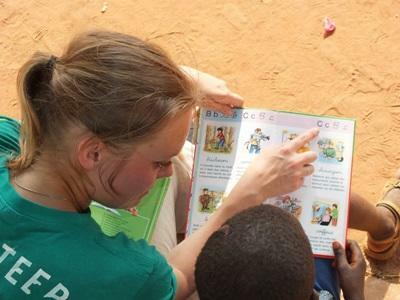 Volunteering in a childcare centre, kindergarten, or nursery in Togo can be challenging but also incredibly rewarding. Whether you are on a gap year, vacation from university, or coming to volunteer development work as a career break, you will have a role to play and your contribution will be valued. The number of vulnerable children, like street children, in Togo is a problem for the country's rudimentary social welfare services. In the care centres that do exist, staff struggle with limited resources to feed, clothe, and educate the children in their care. Staff often don't have the time to provide the individual support and attention that these children need so they can have as normal a childhood as possible. Projects Abroad works with several different care centres in Lomé, the capital of Togo. Many of disadvantaged and vulnerable children attend these centres, which vary in size. Some accommodate mostly young children and others have adolescents and young adults. If you would like to work with a certain age group please request it when you apply. The most rewarding tasks involve helping the children with their homework, teaching hygiene, and setting up group activities. Volunteers can also help with daily tasks such as preparing meals and cleaning up. Some volunteers choose to set up regular social activities for the children like sports or arts and crafts lessons. It is also possible to work in a kindergarten or nursery with babies and young children. It is important to teach them basic behavioural tasks, such as treating people kindly, cleaning up after yourself, and having proper manners. The nursery has a playground outside and plenty of space for outdoor activities. In whichever Care placement in Togo you find yourself, you need to be ready for a challenge. Many of the children are desperate for attention and there will undoubtedly be children who have health problems or need special attention due to disabilities. Patience and positive reinforcement are essential! Projects Abroad volunteers help by spending time with the children, playing with them, and putting a smile on their faces. Whether you are taking a group out for an afternoon to the nearby beach, helping older children with homework, or playing a game with the younger ones, you will be an essential part of their development. Any extra interests or skills that you have can be put to good use, so please let our local staff know about them when you apply. Though French ability is not required, it is helpful to be able to communicate with the children and staff. Over the years, our volunteers have worked with children at orphanages and residential care homes in Togo. They have done incredible work at these placements, improving living conditions there and creating opportunities for children by supporting their education and care. However, we have decided to move our focus away from orphanages and homes toward community and family-based care. This is because we believe stable family environments are best for the children we work with. Read more about orphanage volunteering and our position on it. 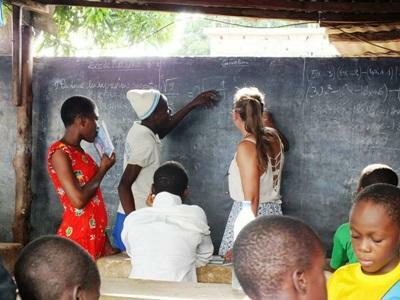 This means that instead of volunteering in orphanages in Togo, volunteers will work in placements like day care centres, kindergartens and schools, or support groups for the elderly and mothers and babies. This will help Projects Abroad build stronger relationships with local communities and – most importantly – help families stay together and flourish. The General Care Project in Togo is available from two weeks if you do not have time to join us for four weeks or more. This project has been selected by our local colleagues as being suitable for shorter durations for both the host community and the volunteer. Although you will gain valuable cultural insight and work intensely within the local community please be aware that you may not be able to make the same impact as someone participating for a longer period. If you have qualifications or experience in this field then we can make use of your skills volunteering abroad as a professional in Togo. If you are a high school student and first-time traveller you may want to consider our High School Special programs in Togo.